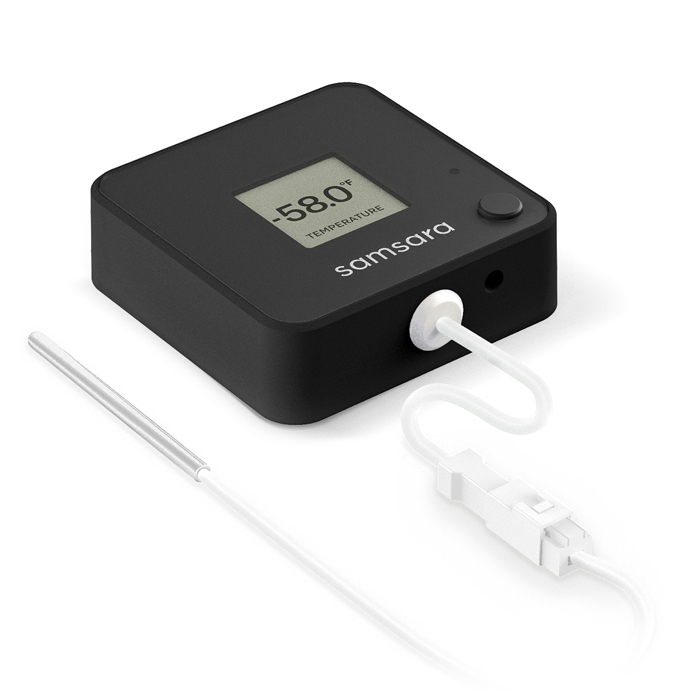 The EM22 environmental monitor is a waterproof, data-logging wireless monitor with external temperature probe. 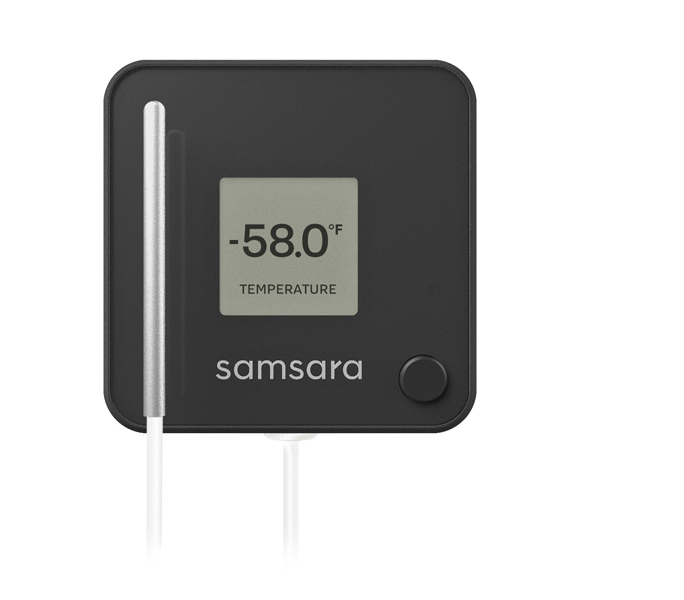 With precise sensors and an easy-to-install wireless design, Samsara EM-series monitors are ideal for ensuring food safety during transportation, monitoring warehouse conditions, and other applications that rely on environmental data to ensure quality or maintain compliance. EM-series monitors are designed for harsh operating environments. IP67-rated weatherproofing protects against splashes, spray, dust, and other environmental wear and tear - ideal for refrigerated trailers and food storage facilities subject to moisture and power-washing. The EM's design is as durable as it is sleek, with exceptional resilience to impact. With the industry's most advanced wireless technology, EMs transmit sensor data in real time to Samsara cellular gateways, enabling operators to see up-to-the-second sensor data over the web and to receive real-time alerts when conditions require their attention. When an EM is deployed out of a gateway's range, it logs data to on-board storage and automatically uploads the data the next time it comes near a gateway. Even with always-on wireless networking and data-logging, the EM runs for three years off of a single AA battery. Compact, affordable, and easy to use, Samsara EMs can quickly bring visibility to small operations without IT or engineering complexity. Yet Samsara's scalable cloud infrastructure and enterprise-grade security make the EM an ideal solution for monitoring large-scale operations. Requires EM license. License includes cellular data connectivity, cloud software, mobile apps, ongoing firmware updates, maintenance, and support. Available in 1, 3, and 5-year terms.